This year’s CADS National Festival was held March 18 – 23 at Mont Sainte-Anne in Quebec with good temperatures to hold the snow, sunshine, and bluebird sky all week! CADS Ontario Bursary recipient Diane Kolin enjoying her skiing. 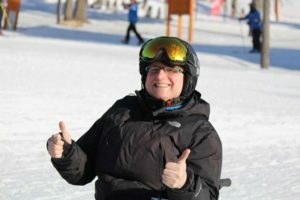 The CADS Ontario Bursary was awarded to first-time Festival participant Diane Kolin, who made the most of every day, skiing as long as she could with all instructors available. The CADS National AGM, held during the Festival week, resulted in Ontario’s own John Ross returning to the Board, while two Board incumbents were replaced with new volunteers. All CADS members were eligible to vote electronically, and still only 4% of members voted in this year’s election. This is the same percentage as when voting was done by only those attending in person at Festival; strange but true. See the CADS National website for details. Two instructors from Ontario Track 3 joined Festival, and were successful in achieving CADS Certification (one Level II, and one Level III). We are thrilled to have them on board. 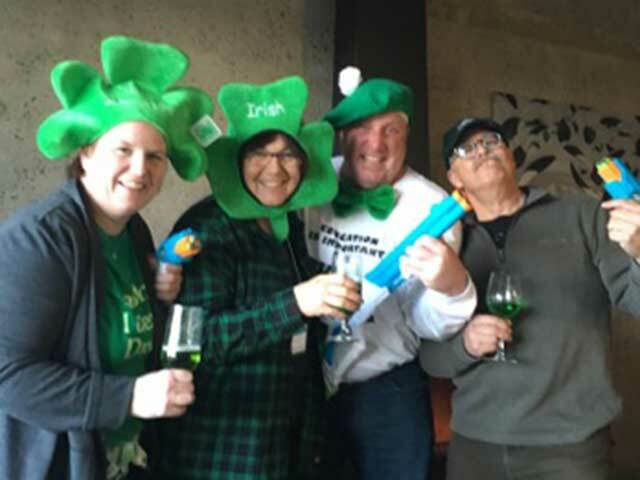 Debbie Uniac, our director of fun, came through once again and kept everyone active and entertained throughout the week, including our Executive. Next year’s Festival will be out west. Dates and details will follow soon. See more photos from this year’s Festival in our Facebook Gallery.